I recently read a guest post by Mark Schaefer on the Convince and Convert blog. 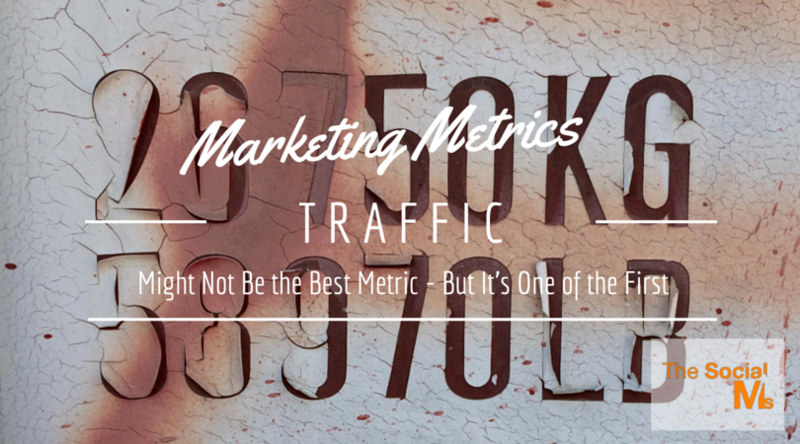 Mark wrote about the problem of traffic not being a very meaningful KPI in marketing. Often untargeted traffic would lead to people clicking on a link only to leave again after a few seconds. Instead of going for traffic, marketers should look for trust. And he claims trust would rather show in “shares” than in “traffic”. While I think Mark is totally right in his argument that traffic alone is for nothing, I still do not think “shares” are the end of the journey and before people click on your link (and become part of that big word “traffic”), they cannot share your content in any meaningful way. And truth be told: I have seen almost as much meaningless sharing in social media as I have seen meaningless and worthless “traffic”. Simply use Buffer to schedule your tweets for a few days and you will notice that often people retweet (“share”) content without clicking on it first. Is that really showing trust? Well, maybe blind trust. We recently were working with a client who was active in a lot of social networks, without any measurable results (neither traffic nor shares) and booked us for analyzing what they where doing wrong. They wanted us to aim for a lot of shares (actually they wanted to aim for “viral”). But seriously before they would see any traffic – who should be sharing their stuff? One of the problems with counting “shares” is that people are told they HAVE to share a lot of content in order to seem active and have a chance of visibility. So with the limited time people often have for finding content to share, they simply share the next best links that they see. Thus “shares” no longer are a sign of trust but turn into a bare necessity of activity on social media. The metric “shares” in this moment loses a lot of its significance. You will have a hard time finding success in shares without having some kind of success in traffic. And be honest: Is the number of “Shares” really your goal for spending time and money in online marketing? So, if we start with measuring “traffic” and then turn to counting “shares” – there should be more to come: Like ROI, like brand recognition, like conversions. From my point of view neither traffic nor shares are the end of the story. Because what you are really looking for with your marketing is neither – or both. A while ago, I wrote an article “Climbing the marketing success ladder with data”. This article was basically about how marketing metrics need to develop over time. 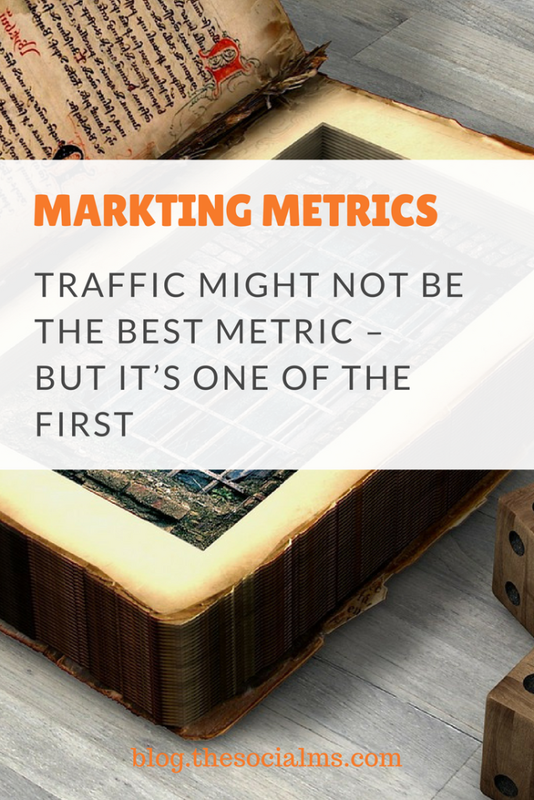 When you start out “traffic” might be a good metric, but Mark is right that you should move on from this number, because “more traffic” does not necessarily mean more success. Rather, the way to go would be “better traffic”. One indicator for this rather abstract concept of “better” traffic could be “shares”. And there might be better marketing metrics depending on the stage your marketing is in. But “shares” is not necessarily the perfect number for measuring trust or success, either. “Number of shares” is definitely not the number on top of your success ladder, where you reached the ultimate marketing success. Even with “shares” you need to ask yourself, what this number really tells you – and if more “shares” really lead you to more “sells”, more trust or better ROI. And as with “better traffic”, you might want to go for “better shares” – again a very abstract concept. At the heart of it all really stands the fact, that with your marketing maturing, your marketing metrics also need to mature. While raising your traffic may be good for the beginning of your marketing efforts, there are many steps to go until your numbers really answer the question if you are on the path to success. You cannot even answer this question for each and every situation with the same succession of metrics, since it very much depends on your goals, your strategy and even the products or services you are trying to sell – or if you are trying to sell something at all. While building trust is necessary for many businesses – for some other businesses scaling their business via “more traffic“ might still be the cheaper and faster way to go than aiming for “shares”. Even if traffic is not the only metric you should watch and traffic does not buy you anything, you will still fail with your online business if you fail to get traffic to your website. You need to question all the time, if what you measure really answers the question whether your marketing is on the path to success or not. You need to be always on the lookout for more sophisticated and better metrics that give you even better insight if your marketing is on the right track. This can be the number of followers on your social accounts, or the number of signups for your newsletter. Without an audience you basically have nothing. Does your audience really listen to you? Do you get reactions in social media? Likes/favorites, comments? (In the case of measuring success for a newsletter, the second step would most likely be open rates – e-mail answers to newsletters are much harder to get than social media comments). Now that you have an audience, you want them to get interested in what you do and click on the links you share. 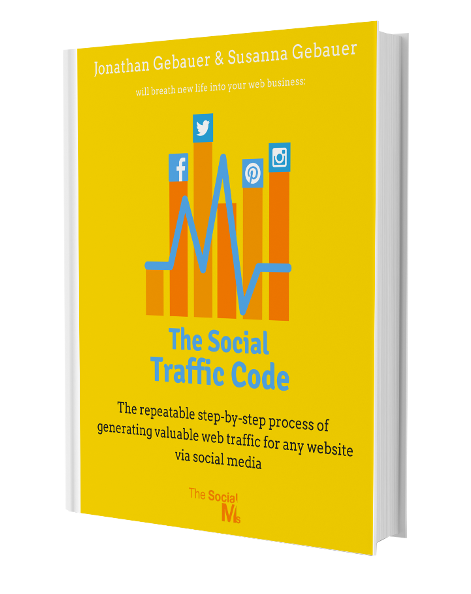 You start measuring traffic. Now you have your audience on your content, you want them to show that they appreciate it and share it. Whatever your goal for your social media, it is probably not people clicking on your content or sharing it. In the end, you want to convert: New signup, sales or new business partnerships. There are goals for social media marketing, which make measuring ROI or conversions rather hard. One example would be brand recognition. If your sole purpose of taking part in social media is to get your brand in front of more people and make them remember your brand, you might have a hard time to find a metric to tell about your success or failure. In this case unfortunately you might be stuck with measuring “shares” – or even “traffic”. Whatever you are trying to sell or to achieve with your marketing activity, the only thing that really counts at the end is the ROI (or conversions). But it does rarely make sense to start out with measuring only the ROI, which is often hard to measure and it will take a significant amount of time to have any measurable impact from social media on your ROI. In your first tentative steps in marketing when success is still developing you need other metrics to measure the small successes that are typical for the beginning of a marketing process and traffic is an important step on any path to marketing success – and a necessary success you need before you can count the shares of your content. While it makes sense to start with other (less significant) metrics on your way to success, these numbers can only indicate that you might be on the right track. After a while when these numbers – like for instance “traffic” – grow, Mark Schaefer is totally right in pointing out that you might easily be stuck with scaling up numbers as “traffic” that do not count for much. Whatever you do, do not forget about your real goals and do not go for big numbers of the wrong metrics. Marketing is not a vanity game. Marketing is not a vanity game.